Tidel smart safes provide advanced technological features that enable the automation of cash management functions within a busy retail environment. By providing automated bill counting and deposit functions along with extensive reporting capability, Tidel smart safes enable retailers to gain tremendous efficiencies and optimization of cash management processes and in-store labor. Tidel smart safes connect to the widest range of cash management peripherals in the industry, allowing them to be deployed across a wide spectrum of industries. The Tidel Series 3 is designed for organizations needing a secure, reliable, and auditable solution to deposit their cash throughout the day. Offering a single or bulk note validator, support for a 1,200 note cassette, and network connectivity, the Series 3 is an ideal solution for customers requiring a proven solution to automate their cash handling processes. 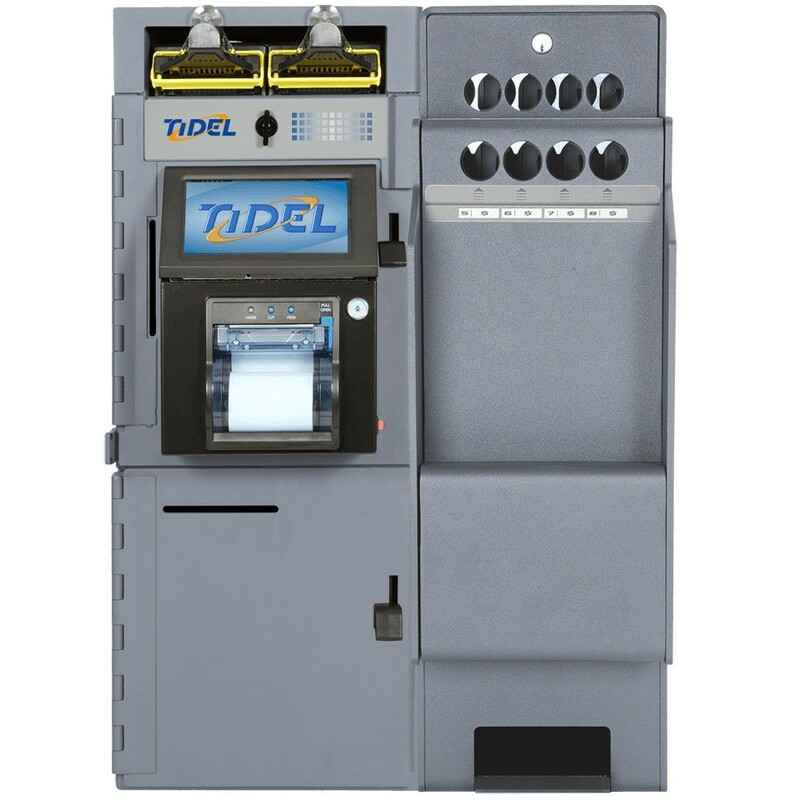 The Tidel Series 4 has been uniquely designed for usability, convenience, and serviceability, making it suitable for a wide range of cash management environments. Supporting up to two bill validators and multiple bottom storage vault options, the Tidel Series 4 offers the capacity, performance, and connectivity required to secure, automate, and streamline cash intensive business across a wide range of industries. The Tidel Series 4e offers industry-leading expansion capabilities that enable organizations to manage a broad range of cash management needs. 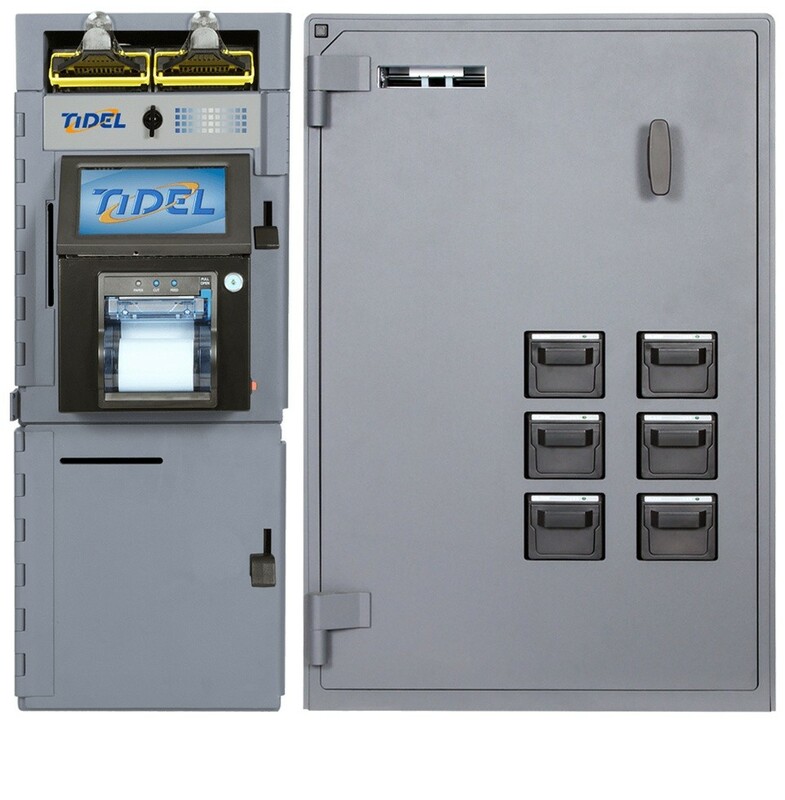 The Tidel Series 4e and supported peripherals offer solutions that dispense coins and notes, dispense rolled coin, recycle coin, and enable expanded note deposit and validation capabilities. The Tidel Series 4e is the ideal solution for retail organizations that require a fully integrated system that can address the widest spectrum of cash management challenges. Interested in learning how our smart safes can help your business? Contact us Today!